On one occasion, I remember my mother's Thanksgiving Dinner Menu. It was ham instead of the roast turkey dinner we had always had. The ham was delicious and we were grateful for the meal, but my sisters and I requested she return to the family tradition of having turkey every Thanksgiving. 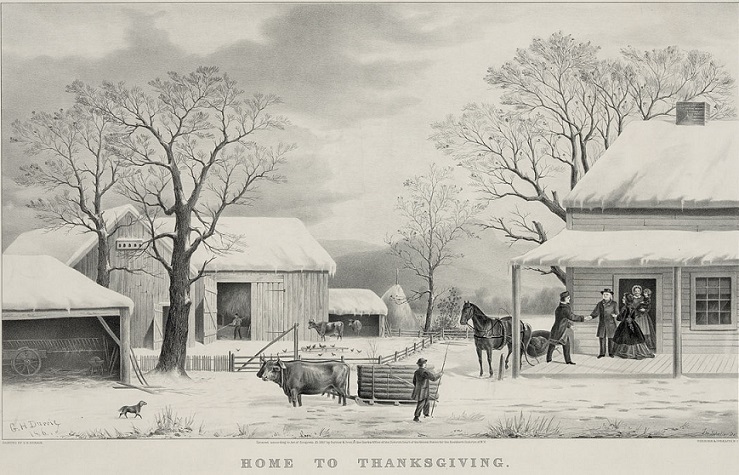 It is just something that was locked into our psyche --we had to have turkey or it wasn't Thanksgiving. 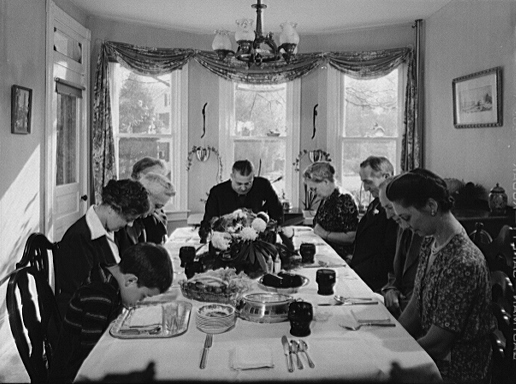 I think Thanksgiving is really about the joy of gathering with loved ones and good friends. But you and your guests may enjoy the day all the more if you remember two basic things about holiday meals (about people really). People like familiar food. I recommend you don't prepare an entirely unfamiliar menu on an unsuspecting crowd. One or two "creative items" is plenty. And I think you should keep everything fairly simple. Save the difficult or experimental recipes for wowing a smaller group for some other time. For families who like to rotate food items or experiment with recipes on holidays, there are many options on the website for you to try. Check out the Fall Menu #1 and Fall Menu #2. This page is dedicated to a Thanksgiving menu is for a classic Thanksgiving dinner -- roast turkey with sage cranberry dressing ( a bit of creativity), traditional mashed potatoes and gravy, mashed sweet potatoes with rum (a touch more creativity), fresh cranberry sauce, Waldorf salad and rolls with butter. Don't forget to save some room for dessert! 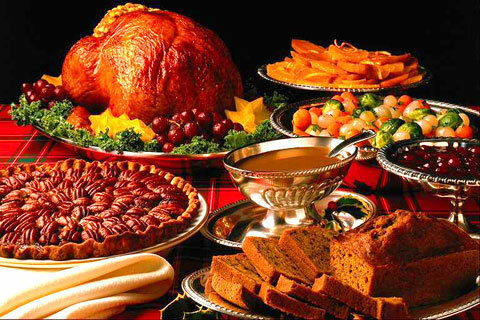 In fact, over-eating on Thanksgiving Day is very easy to do. I serve only light appetizers (often to "buy" some time while cooking) because the turkey dinner should really be the star of the show. This is one of my ideas of a great Thanksgiving Dinner Menu for the busy host or hostess as much of the preparation can be done in advance! If you need a refresher on How To Roast A Turkey or How To Make A Delicious Gravy, click here. Here are the ingredients and amounts you will need for serving 12-14 people (allowing for some leftovers - always something to look forward to). Of course you want your Thanksgiving (and everyone else's) to be fabulous and relaxing. To guarantee just that, you must invest a little time ahead of that day. Organize your serving dishes and utensils the day before, noting what dish or pan is for what item. There is something else I don't hesitate to do ---I accept offers of help! When someone asks to bring a dish, take them up on it (especially if it's your in-laws!). Ask your guests to bring the item that they feel most comfortable with. You can even offer them the recipe you want to use as a chance for everyone to try a real restaurant recipe! Make it a fun time! And if a guest offers to bring something but they don't cook or don't want to cook, ask them to bring a specific beverage or some Artisan bread or dinner rolls. Cheese and Cracker Tray (See the article about cheese). It explains how to set up a cheese tray and you can use the same basics for a Fresh Fruit Tray. Waldorf Salad Serve ahead of the rest of the meal or with it --your choice. Mashed Sweet Potatoes with Rum or Bourbon or "Plain"
You now have a great Thanksgiving Dinner Menu but what if you do have leftovers? If you would like to view a video about How to Carve a Turkey, just click that link. 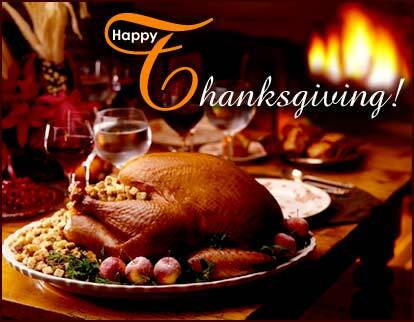 Enjoy your Thanksgiving and the company of those you share it with!